Community-owned resthomes are struggling to stay afloat as they pick up the tab of last year’s pay equity settlement for care and support workers. Residents of Martinborough’s Wharekaka Rest Home have taken matters into their own hands, outlining their concerns to local and national leaders. They have demanded an increase in government funding to small resthomes like theirs, which is run by a registered charitable trust. Last year, 55,000 care workers secured a $2 billion government package which would result in pay rises of from $19 to $27 per hour over the next five years. But the government package only partly funded the move, leaving facilities to fork out for the extra costs themselves. A letter, written and signed by residents of Wharekaka, has been sent to Prime Minister Jacinda Ardern, major party leaders, and each Wairarapa-based MP, outlining how devastating it would be “if Wharekaka was unable to cope financially and had to close”. The residents want their representatives to “fight for us by increasing government funding to fully meet all personnel wages in our small, intimate and precious homes”. In their letter, the residents said it was “with great pleasure” that they were told of last year’s increase of wages for their carers “who certainly go ‘above and beyond’ what anyone could expect in their care for us”. In comparison to the not-for-profit side of aged care, Ryman Healthcare, which runs 32 retirement villages around the country reports full year underlying profit of $203.5 million, up 14.2 per cent last year. The letter from Wharekaka residents state that larger organisations like this had more financial leeway to accommodate such increases as their financial pool was “so much bigger”. “Our small home is vital to us and to our community . . . it would be devastating for us if Wharekaka was unable to cope financially and had to close. Wairarapa National MP Alastair Scott, who visited the residents on Friday, said the government needed to consider new models of services and financial support for rural and regional elderly care facilities to ensure their survival. “The number of people living in Wairarapa aged over 65 is set double over the next 25 years. “It is vitally important that our local ageing population have the opportunity to transition into care in their own community, close to family and friends. 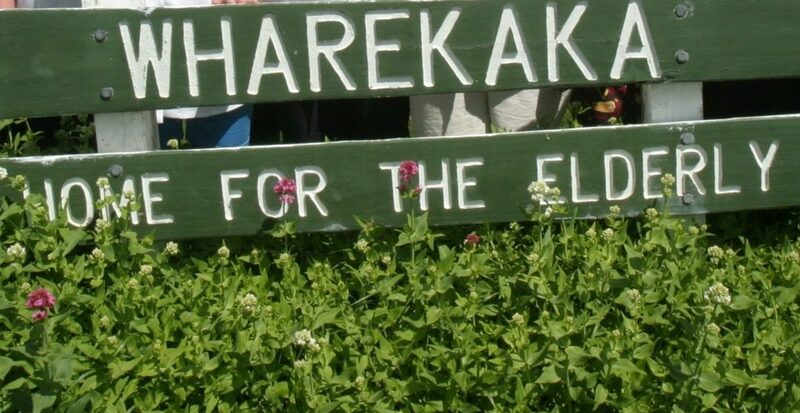 Wairarapa-based Labour list MP Kieran McAnulty said the issues raised by Wharekaka had also been raised directly with him by Arbor House in Greytown and Carter Court in Carterton. “Wairarapa is lucky to have three community-owned, not-for-profit rest homes. “It means our elderly can access them where they live, and not have to pay as much as some larger, corporate providers. He said he had written to the Health Minister seeking clarification as to what work is under way for the community-owned not-for-profits. Defence Minister Ron Mark, NZ First, said as a Wairarapa resident he was “very happy” when aged care workers were given a much-deserved pay rise. “However, I do appreciate there are continued pressures on our smaller and local rest homes. “The Ministry of Health is working with other agencies to develop further options for addressing the challenges we face in aged care. “This advice is due by the end of 2018. “The Government wants to ensure we have a suitable workforce in aged residential care. I hope they will be listened to.